Our Windsor comes complete with a single motor tilt-in-space which offers an extremely comfortable seating position through it’s entire motion. Manufactured in the UK this product comes at an exceptional price and is accompanied by our 5yr warranty package. Sleek Side Table - With it’s simple yet elegant design, our compact modern end table is ideal for small rooms, apartments and waiting rooms with limited space. 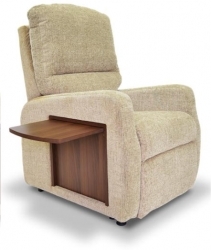 Single Motor - A quiet smooth recline action with a zero gravity no shear motion. The powerful motor lifts with a tilting space motion. 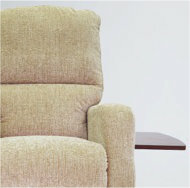 Fibre Filled Back - As a standard feature the Windsor has a fibre-filled back cushion which offers extreme comfort when either in the sitting or tilt position. 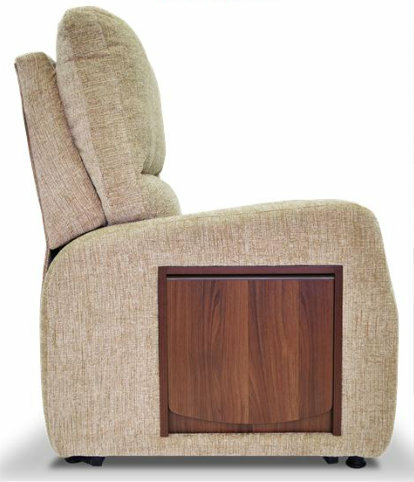 A beautifully designed chair crafted to an exceedingly high standard. 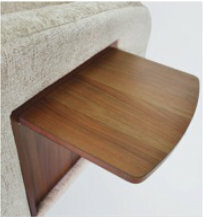 Uniquely designed fold up table - Our beautifully stylish side tables are made using premium quality wood which come with a melamine finish that is scratch proof and water resistant.Space-economisation is the main use of our tables and when not in use the table can be easily folded down which makes it perfect for both domestic and professional use.